In a small dry skillet, toast the comino seeds until they are fragrant, and then grind them with a mortar and pestle. Mix them into the butter with tequila and lime juice. Obviously, serve the butter with the cornbread! 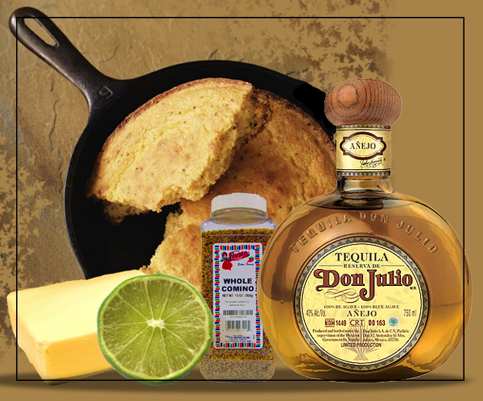 If there is extra tequila, it goes over ice — it will warm you up about as nicely as the cornbread will!